The CHIREC Kondapur campus reverberated with cheer and merriment on January 19, 2019 as all the stakeholders united to mark the Grand Finale of the year-long 30 Years Celebrations of the esteemed institution. Leading all the way since last 3 decades with excellence in quality education, CHIREC had been celebrating this special year with events lined up once in a month all year through. The Founder Director, Mrs. Ratna Reddy, welcomed the guests and shared the highlights of the glorious journey that she has covered with CHIREC. 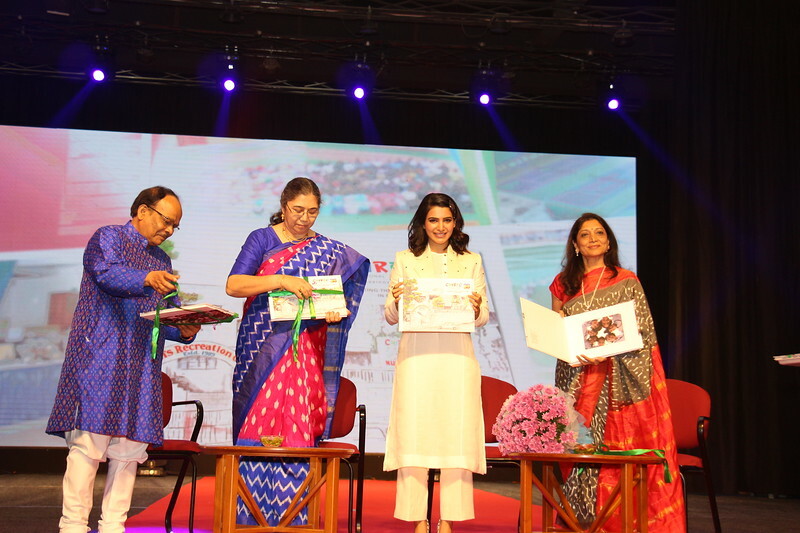 The guest of the day, Ms. Samantha Akkineni, a well-known name in the Telugu and Tamil film industry, graced the occasion, released the CHIREC Coffee-Table Book amidst loud applause and addressed the gathering. Ms. Samantha is also the brand-ambassador for Telangana Handlooms supporting the weavers. The campus wore a festive look as the management had done its bit to promote Telangana’s weavers and handlooms, by gifting Pochampally silk sarees and ethnic wear to the CHIREC staff. The entire programme was staged by CHIREC students - past and present. The grand finale witnessed a pulsating musical evening presented by the school band ‘Melo’, the alumni band ‘No Treble’, the popular multilingual singer Ms. Sunitha Upadrashta, the recipient of the Filmfare Award for the best female playback singer 2010, radio jockey Anuj Gurwara, and Yash Bhatnagar, an ex-CHIRECian. Another attraction was the Fashion Show presented by the Fashion Studies students of Grades 11 and 12 sashaying down the ramp wearing the outfits designed by them. Ms. Shreya Kamavarapu, an ex-CHIRECian and the second runner up of Femina Miss India Pageant 2018 was the showstopper. The scintillating evening came to a close with The Principal, Ms. Iffat Ibrahim, proposing the vote of thanks followed by the CHIREC Anthem and the National Anthem.